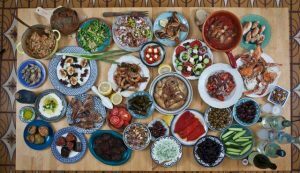 Come and join us for a delicious buffet of homemade Syrian food as we come together to celebrate at the end of Refugee Week, while listening to folk/jazz music of Martin Thorne and Company. Tickets available from Iapatus on Belle Vue, as well as the Vintage Coffee Shop – book in advance to avoid disappointment. Is Malvern a Safe Place to Live?